"Indian Mound" Rockefeller Cottage--Now Jekyll Island, Georgia Museum. This cottage was built by the younger brother of John D. Rockefeller (1841-1822), one of the millionaire members of the Jekyll Island Club. 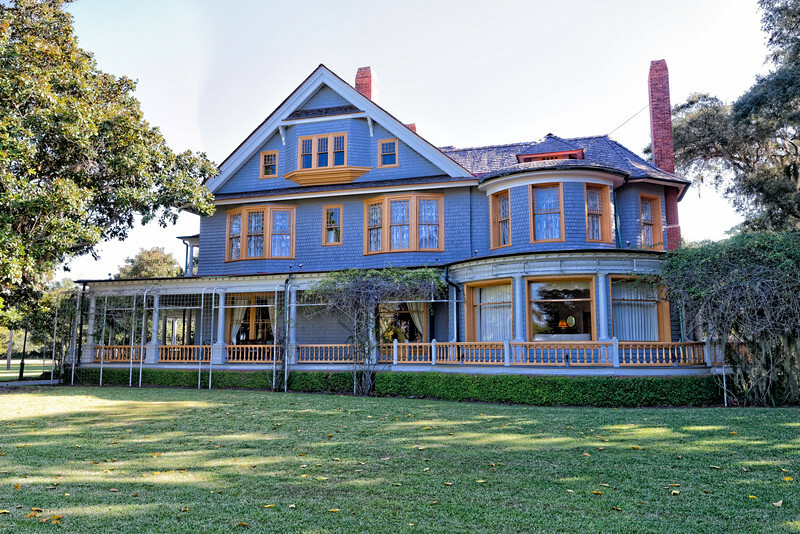 Built about 1900, in the Victorian Shingle style, it was called "Indian Mound" because of its adjacency to the old Indian Mound, believed to be a burial mound of the Guale Indians.